1724 Nuttman Ave., Decatur, (260) 724-4316, www.golfatcrosscreek.com, Par 72, course length: 5,033-6,512 yards. Blue tees: slope 122, rating: 70.5. White tees: slope 119, rating 69.2. A course record of 63 stands at public Cross Creek Golf Club, opened under current management in 1989 but originating in a Robert Bruce Harris design. The George Young-renovated course that opened in 1947 on mostly flat acreage has blue rye fairways lined by mature trees. Several holes have water hazards, too, and the 17th requires a skillful shot over a dry ravine and finishes on a narrow, elevated bent-grass green. 207 North Drive, Geneva, on Rainbow Lake, (260) 368-7388, www.facebook.com/golfclubofthelimberlost, Par 71, course length: 5,018-6,500 yards, slope: 123, rating: 70.3. Since 1964, the golfing public has enjoyed this Ron Kern-designed course, carved out of the old Limberlost Swamp. Updated in 2009, new bent-grass tees and fairways greet golfers, and they can take advantage of a 14-acre practice facility. Course record stands at 65. Carts are available and might help golfers save enough energy to conquer No. 8, a 521-yard par 5 where the ability to shoot between trees and over water comes in very handy. 4630 Arlington Park Blvd., (260) 485-2774, www.arlingtonpark.net, Par 31, course length: 1,709-2,095 yards, slope: N/A, rating: 29. The record stands at 26 for the nine holes of bent-grass greens and bluegrass/rye fairways on this executive course, which opened in 1981. Carts are available at this open-to-the-public neighborhood course. 11420 Old Auburn Road, (260) 637-8727, www.autumnridgegc.com, Par 72, course length: 5,273-7,103 yards. Gold tees: slope 136, rating 74.9. Blue tees: slope 132, rating 71.8. White tees: slope 128, rating: 69.1. Red tees: slope 121, rating: 70.9. Autumn Ridge has earned a challenging four-star rating from Golf Digest, and it touts a respectable course record of 63. The course, designed by Ernie Schrock, opened in 1993 with a different challenge facing players at each hole. 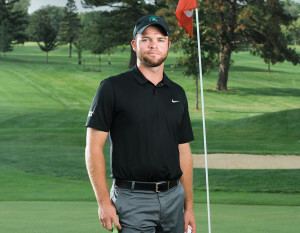 Pro Kyle Pearson runs the public course of bent-grass greens and fairways. Water comes into play on 15 of the holes. Autumn Ridge also features a driving range and chipping practice area. GPS carts are required. 10304 Bluffton Road, (260) 747-3136, www.brookwoodgc.com, Par 72, course length: 6,362 yards. Blue tees: slope 128, rating 72.0. White tees: slope 122, rating 70.3. Green tees: slope 115, rating 67. Red tees: slope 121, rating 70. Venerable Brookwood opened in 1928 as a wide-open public course beloved by golfers who know how to use their drivers. A creek complicates play on six of the all bent-grass holes on the gently undulating terrain. The course record is 62. Golf carts and a driving range are available, as is a Par 3 9-hole course, and the practice range received renovations in 2013. 2727 Canterbury Blvd., (260) 486-7888, www.canterburygreengolf.com, Par 59, course length: 3,078-3,625 yards, slope: 90/men, 88/women, rating: 58.4/men, 57.3/women. A course record of 50 is the score to beat on the short 18 holes of public Canterbury Green, opened in 1970. Canterbury has carts available but no driving range. A creek gives the executive course its water hazards, and the bent-grass greens and bluegrass fairways are fast. PGA Director of Golf is Ryan Fahler. 10000 Garman Road, Leo, (260) 627-5623, www.cedarcreekgc.com, Par 71, course length: 4,956-6,365 yards. Blue tees: slope 122, rating 69.8. White tees: slope 120, rating 68.7. Red tees: slope 117, rating 67.8. Designed and built by Bob Beard in 1965, Cedar Creek Golf Club continues under the ownership of Dave Gilbert. A course record of 64 tantalizes the golfing public who come to enjoy the course’s combination of open holes, water holes and tree-lined fairways in the Leo area’s rolling terrain. A driving range and GPS carts are available. 6615 Wheelock Road, (260) 485-8727, www.cherryhillgc.com, Par 72, course length: 6,800 yards, slope: 133, rating: 73.4. 11502 Illinois Road, (260) 625-4146, www.chestnuthillsgolf.com, Par 72, course length: 5,143-7,012 yards. Blue tees: slope 132, rating: 72.9. White tees: slope 127, rating 71.6. Green tees: slope 122, rating 69.3. Red tees: slope 112, rating 64.9. Trees line the fairways on hilly Chestnut Hills, designed by Indiana native Fuzzy Zoeller and built in 1995. A course record of 64 challenges the golfing public who take on the Zoeller Signature Course’s fast greens and many streams crossing its 18 holes. New senior tees were added in 2012. Golf carts and a driving range are available. Gary Gant serves as golf pro. 8218 Huguenard Road, (260) 489-5121, www.golfatcolonialoaks.com, Par 71, course length: 4,996-6,582 yards. Black tees: slope 129, rating 71.6. White tees: slope 129, rating 68.5. Green tees: slope 121, rating 66.4. Gold tees: slope 117, rating 67.0. Designed by Pat Riley, Colonial Oaks is one of the Fort Wayne area’s more open and flat courses with a creek crossing the course 10 times. This public course with four sets of tees challenges players with its many mature oak trees and tight holes like No. 12 with its tricky out-of-bounds stakes on the right side. The course record is 63. Golf carts are available, but there is no driving range. 4935 Hillegas Road, (260) 483-3148, www.coyotecreekonline.com, Par 72, course length: 5,009-6,978 yards. Black tees: slope 128, rating 73.5. Blue tees: slope 125, rating 71.3. White tees: slope 122, rating 68.6. Silver tees: slope 113, rating 65.7. Gold tees: slope 117, rating 68.2. Mixing open and tree-lined fairways with challenging changes in elevation, private Coyote Creek requires precision of its member players and their guests. A course record of 61 is the standing challenge. Carts and a driving range are available. Bill Blumenherst serves as the golf pro. 7102 S. Calhoun St., (260) 745-7093, www.donaldrossgolfclub.com, Par 72, course length: 5,042-6,821 yards. Black tees: slope 126, rating, 72.5. White tees: slope 122, rating 69.7. Green tees: slope 111, rating 68.6. Yellow tees: slope 110, rating 66.5. Donald Ross Golf Club’s front nine holes were designed by renowned Scottish golf course architect Donald J. Ross. White sand bunkers and winter rye fairways lead to bent-grass greens, some of them elevated, with water hazards on six holes. Half of the public course is mostly flat and half is gently hilly, with a course record of 61. Golf carts are available. Quinn Griffing is the golf pro. 5221 Covington Road, (260) 432-4573, www.ftwaynecc.org, Par 71, course length: 4,920-6,642 yards, slope: 125, rating: 70.3. With a total renovation of all greens and roughs in 2013, a new bluegrass-rye combination will lead member golfers over the rolling hills at this private course first opened in 1908. Carts or caddies are required, and players may use the 60-tee driving range, as well. Chad Ayres is the golf pro at the course, where the current record stands at 61. 3900 Old Mill Road, (260) 427-6735, www.fostergolfcourse.com, Par 71, course length: 5,223-6,434 yards, slope: 111/men, 114/women, rating: 69.6/men, 72.7/women. 746 N. Coliseum Blvd., (260) 422-8714, www.lakesidegolfandbowling.com, Par 71, course length: 4,611-6,330 yards, slope: 104-116, rating: 65.4-69.6. Twenty-seven holes await golfers at this public course, as an 18-hole regulation course with a sister nine-hole par three course for practice. Designed by Bob Beard and opened in 1957, Lakeside’s course record is 61, featuring 18 holes of bluegrass fairways and some bent-grass greens. A creek presents a hazard on seven holes. Carts and a driving range are available. FootGolf was added in 2014. James Baker is the manager, and a snack bar serves golfers and the public. 3900 Hessen Cassel Road, (260) 427-6710, www.mcmillengolfcourse.com, Par 65, course length: 4,653 yards, slope: 93/men, 95/women, rating: 62.1/men, 63.3/women. McMillen Park’s respected 18-hole executive course has been joined by Mad Anthony III’s Short Course with nine holes, all par three. Reserved for Lifetime Sports Academy Certified Players from 9 a.m. to 3 p.m. weekdays when the Academy is in session, the short course is designed for beginners. The 18-hole course, designed by Hal Purdy, has a record of 57 over its flat, low-mow bluegrass fairways and elevated, bent-grass greens. Electric and push carts are available, as well as a driving range. Pro Rick Hemsoth is also the manager. 4531 Lower Huntington Road, (260) 747-0115, www.orchardridgecc.com, Par 71, course length: 6,550 yards, slope: 133, rating: 71.8. Founded in 1924, Orchard Ridge members and guests enjoy the picturesque, rolling terrain on this all-bent-grass course designed by Charles Maddox. Tree-lined fairways, fast greens and newly added tee boxes and bunkers make the course challenging for the more experienced golfer. In 1955, the course was host to the first ever LPGA Championship, won by Beverly Hanson. Director of golf is Eric Noble, and Gary Whitacre is the golf professional. 10900 Pine Mills Road, (260) 637-6414, www.pinevalleycc.com, Par 71, course length: 5,117-6,843 yards, slope: 132/men, 120/women, rating: 73.2/men, 69.8/women. 26025 River Road, Woodburn, (260) 632-5481, www.pond-a-river.com, Par 69, course length: 3,576-4,785 yards. Blue tees: slope 110, rating 65. White tees: slope 110, rating 65. Red tees: slope 100, rating 62.1. Arnold Radke designed Pond-a-River Golf Club’s front nine, and the back was designed by Richard Chilcote. David Gerig took ownership in 2012. One of the area’s most heavily wooded courses, it plays best for golfers who can control their drives down narrow bluegrass fairways toward the bent-grass greens. Carts are available in addition to a chipping practice facility for shots from 48 to 110 yards. 7207 St. Joe Road, (260) 485-2732, www.riverbend-golf-course.com, Par 72, course length: 6,702 yards, slope: 136, rating: 73. A tight horseshoe bend of the St. Joseph River encloses the tight and water-hazarded front nine at Riverbend, designed by Ernie Schrock and opened in 1972. The front nine is short and tight, including rare back-to-back par 3’s, while the back nine is more open and friendly to the long ball hitter. Course record is 65, and fairways and greens are bent grass. Carts are available but no driving range. 6401 St. Joe Road, (260) 427-6745, www.shoaffgolfcourse.com, Par 54, course length: 2,886 yards, slope: N/A, rating: N/A. Shoaff Park, designed by Hal C. Purdy, opened in 1958 as a nine-hole municipal course. It has matured into an 18-hole par three course with a course record of 50 for its bent-grass greens and bluegrass fairways. Push and electric carts are available, in addition to a driving range. Golf pro Rick Hemsoth is also the manager. 11836 Covington Road, (260) 625-4397, www.sycamorehillsgolfclub.com, Par 72, course length: 5,881-7,340 yards, slope: 146, rating: 76. Course designer Jack Nicklaus has called Sycamore Hills, which opened in 1989, “a very, very fine site.” He praises the private golf club for its “great movement” and the way the natural trees, lakes and stream interact with the golf play. With a course record of 64, it’s a challenge for the members and guests. Carts are required. A driving range and golf academy are available. Golf pro Tim Frazier has more than two decades experience at the course. 216 N. Rufus St., New Haven, (260) 749-5025, www.whisperingcreekgc.com, Par 72, course length: 6,787 yards, slope: 117, rating: 71.4. Public Whispering Creek Golf Club has recently undergone a metamorphosis. Extensive dike work to reduce flooding problems has been completed. Tree planting and turf upgrades have greatly enhanced the challenge and playability of this classic, old-style golf course along the banks of the Maumee River. Whispering Creek provides a wonderful test for players of all abilities. Tony Louden is the PGA professional. 17000 Willow Ridge Trail, (260) 637-3243, Par 71, course length: 5,247-5,612 yards, slope: 108, rating: 67.7. 1818 Morningstar Road, Auburn, (260) 925-8184, www.bridgewatergc.com, Par 72, course length: 5,107-7,272 yards, slope: 136, rating: 75.3. Bridgewater, an 18-hole championship golf course, is open to the public. Designed by Ernie Schrock and opened in 1999, it graciously accommodates players of all skill levels. Each hole has five sets of tee boxes so golfers can choose which course to play. Based on the choice of tees, the course varies from 5,300 to more than 7,200 yards. Carts are available, plus a driving range. Pro Ivan Foster has been with Bridgewater for 11 years. 401 N. Walsh St., Garrett, (260) 357-5165, www.garrettcc.com, Par 72, course length: 4,840-6,548 yards, slope: 118, rating: 69. With a front nine designed in 1918 by Tom Bendelow and a new back nine designed by Ernie Schrock in 1996, golfing members and the public enjoy fairly open bent-grass fairways over rolling terrain providing uneven lies. Water hazards come into play on eight holes. Several of the average-sized bent-grass greens are undulating, and five holes feature dogleg fairways. The course record stands at 63. Carts are available but no driving range. Owner and Director of Golf Dave Demske has 13 years at the course. 10930 N. 300W, Huntington, (260) 344-1665, www.clearcreekgc.com, Par 71, course length: 5,330-6,560 yards, slope: 120, rating: 70.7. Loren and Virginia Helvie established the original nine holes in 1971, and their son Jerry and his wife Sharon added the second nine in 2000. The front nine offers wide-open play and the opportunity to score well. The back nine is longer and tighter and more challenging with water and trees as hazards on different holes. With a course record of 63, Clear Creek has carts and a driving range available. Jerry Helvie has 15 years running the public course. 753 E. 900S, Warren, (260) 375-4750, www.dogwoodglengc.com, Par: 36, course length: 2,424-3,329 yards, slope: N/A, rating: N/A. 9803 W. 600S, Andrews, (260) 468-2906, www.etnaacres.com, Par 72, course length: 5,142-6,096 yards, slope: 112, rating: 69.6. Etna Acres was designed in 1960 and is still owned by Gene Kaufman, who serves as PGA golf professional. Etna Acres Golf Club offers a course record of 66 to challenge the golfing public. Etna Acres is a uniquely designed 18-hole golf course. The front nine features elevated greens and tees that hide behind various creeks and ponds. The back nine has a links-style design, with hills and heather making any errant tee shots tough to play. A driving range and carts are available. 5961 W. Maple Grove Road, Huntington, (260) 356-5929, www.norwoodgc.com, Par 72, course length: 6,597 yards, slope: 118, rating: 70. Competitive golfers love Norwood for its uneven lies on the front nine’s bent-grass fairways, hemmed by trees and water on some holes. Opened in 1969, it has a course record of 64 to taunt the golfing public. Carts are available, along with a driving range. 5721 E. Elkhart County Line Road, Syracuse, (574) 457-3504, www.maxweltongolf.com, Par 72, course length: 5,728-6,490 yards. Blue tees: slope 128, rating 70.9. White tees: slope 125, rating 69.9. Red tees: slope 126, rating 73.1. A Scottish immigrant commissioned William B. Langford, ASGCA, to design the Maxwelton course, which opened in 1930. The public course has a record of 62. The rolling fairways, changes in elevation and the small undulating greens are very reminiscent of Scottish golf architecture. Carts are available but no driving range. Head pro Bob Carlson has over 40 years on the course. 3085 E. Pierceton Road, Warsaw, (574) 269-2902, www.raccoonrungolf.com, Par 70, course length: 3,864-5,150 yards, slope: 100/97, rating: 63.4/64.2. 1700 Rozella Road, Warsaw, (574) 376-4160, Par 70, course length: 5,039-6,305 yards, slope: 124, rating: 70.1. 10601 N. Ind. 13, Syracuse, (574) 457-2832, www.golftheshore.com, Par 72, course length: 5,305-6,328 yards. Regular tees: slope 126, rating 70.8. Senior tees: slope 118, rating 67.2. Women’s tees: slope 120, rating 70.6. With roots back to its first development in 1932, the South Shore Golf Club takes full advantage of its scenic location on Lake Wawasee, giving the golfing public the challenge of many water hazards, sand bunkers, trees and terrain changes throughout on bent-grass greens and bluegrass fairways. New senior tees were added in 2012. The course record is 62. Carts and a driving range are available. General manager Jim Brooks has more than a decade at the course. 2850 E. Pierceton Road, Winona Lake, (574) 269-6122, www.stonehengegolfclub.com, Par 71, course length: 4,453-6,901 yards, slope: 133, rating: 72.7. 7245 N. Kalorama Road, Leesburg, (574) 453-4441, www.tippylakecc.com, Par 70, course length: 4,889-5,937 yards, slope: 123, rating: 69.3. The bent-grass greens and fairways of Tippecanoe Lake Country Club offer its member golfers a panoramic view of the entire course from No. 18, along with the challenges of lakeside terrain – water, sand, trees and uneven lies. Opening in 1926, the private course has a record of 62. Carts and a driving range are available. Head golf pro is Matt Funkhouser. 12388 N. Bishop Road, Syracuse, (574) 457-0224, www.wawaseegolfclub.com, Par 35, course length: 2,489-2,989 yards, slope: N/A, rating: N/A. Originally a 1910 design by Tom Bendelow, Wawasee Golf Club was redesigned and reopened in 2001, featuring beautiful white sand bunkers, gently rolling hills and trees on the bent-grass greens and irrigated fairways. Some of the nine holes have grass bunkers. Carts are available for member golfers. 3355 E. 700N, Howe, (260) 562-3923, www.cedarlakegolfcourse.com, Par 71, course length: 4,940-6,463 yards, slope: 128, rating: 71.1. The golfing public is welcome to take on the challenges of 18 bluegrass fairways and bent-grass greens varied by Cedar Lake’s water hazards, mature trees and well-defined bunkers. Opened in 1948, it has a course record of 60. Carts are available but no driving range. Tom Mortola is owner and golf professional. 615 W. 50N, LaGrange, (260) 463-2906, www.heroncreekgolfclub.com, Par 71, course length: 5,270-6,353 yards, slope: 126, rating: 70.7. Championship play is the goal of the golfing public at Heron Creek Golf Club, opened in 1961 with a Tim Dykstra design. The course record stands at 59, testament to the open winter rye fairways and wide, smooth bent-grass greens. 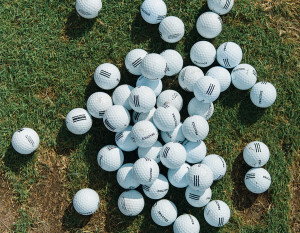 Ponds and sand bunkers provide plenty of hazards. Carts and a driving range are available. Golf pro and president is Chris Keil, with 15 years at the course. 2702 Cobblestone Lane, Kendallville, (260) 349-1550, www.cobblestonegc.com, Par 72, course length: 4,734-7,005 yards. Black tees: slope 130, rating 73.2. Blue tees: slope 128, rating 71.2. Gold tees: slope 123, rating 69.2. Silver tees: slope 116, rating 67.4. Forest tees: slope 110, rating 66.8. Cobblestone Golf Course was designed by Stephen Burns, ASGCA, and opened as a public course in 1998. All bent-grass greens are challenging, and the fairways are wide but some are tree-lined. The rolling terrain and prevailing winds provide plenty of friendly challenge, as shown by the standing course record of 61. Carts and a driving range are available. Head golf pro is Alan Moyer. 120 Weston Ave., Kendallville, (260) 347-3440, Par 36 (9 holes), course length: 2,741-3,134 yards, slope: N/A, rating: N/A. Golfers are welcome to challenge this course, with its hilly terrain, tree-lined bluegrass fairways and sloped bent-grass greens that are very fast. Water comes into play on six of the nine holes. Course record is 30. Carts are available. 3204 E. 900N, Rome City, (260) 854-4878, Par 70, course length: 6,298 yards, slope: 113, rating: 67.7. Based in its original 1930s design, Limberlost Golf Club opened in its current public format in 1987 and is distinguished by its course record of 70, which is par. It is considered semi-hilly and has more trees on the front nine than the back. Sand bunkers are numerous on the Bermuda grass fairways and do not threaten the bent-grass greens. Carts are available but no driving range. 3005 Noble Hawk Drive, Kendallville, (260) 349-0900, 888-GOLF-321, www.noblehawk.com, Par 71, course length: 5,008-6,817 yards, slope: 132, rating: 73.3. Beautiful Noble Hawk, opened in 1997 with a design by its golf professional Tim Dykstra, has an exciting variety of holes. Some are pure up-north with dramatic contours and trees on all sides. Others appear to be transplanted from Florida with sand and water everywhere. Course record is 58. Carts and a driving range are available. Dykstra has been at the course for roughly two decades. 260 Lane 120, Hamilton Lake, Hamilton, (260) 488-2920, www.cold-springs-resort.com, Par 63, course length: 4,320 yards, slope: N/A, rating: N/A. Hilly terrain presents unusual challenges on this public course, which opened in 1957, but Cold Springs repays adventurous golfers with stunning views across Hamilton Lake. The bent-grass No. 13 green provides a view over the tops of trees rooted on lower slopes. Carts are available. 102 Ind. 120 W., Fremont, (260) 495-4525, www.golfcountrymeadows.com, Par 72, course length: 6,070 yards, slope: 124, rating: 69.3. Narrow bluegrass fairways distinguish the Al Edmondson design of Country Meadows, which opened as a public course in 1981. Hilly terrain and water hazards present additional challenges. Bent-grass greens are of medium size and speed. Carts are available but no driving range. 3333 Glendarin Way, Angola, (260) 624-3550, www.glendarinhills.com, Par 72, course length: 5,878-7,052 yards. Gold tees: slope 140, rating 74.6. Blue tees: slope 136, rating 72.7. Blue/Green tees: slope 131, rating 70.7. Green tees: slope 128, rating 69.1. Red tees: slope 126, rating 70.8. Scenic vistas delight the golfing public at Glendarin Hills, where a general openness combines with frequent sand bunkers and water hazards. The course record stands at 66 since its opening in 2004. Glendarin Hills features 18 unique holes along with five sets of tee boxes, ranging from 5,000 to 7,100 yards. Carts are required. 5370 E. Metz Road, Angola, (260) 665-6064, Par 71, course length: 5,422 yards, slope: N/A, rating: N/A. 1445 W. 275N, Angola, (260) 833-3967, www.golflakejames.com, Par 72, course length: 6,300 yards, slope: 133, rating: 71.3. 1215 Park Ave., Angola, (260) 665-4269, www.zollnergc.com, Par 71, course length: 5,006-6,384 yards, slope: 121, rating: 70.1. 3360 W. Division Road, Wabash, (260) 563-8663, www.honeywellgc.com, Par 71, course length: 5,019-6,444 yards. Blue tees: slope 124, rating 71.2. White tees: slope 121, rating 69.3. Black tees: slope 113, rating 67.8. Gold tees: slope 118, rating 68.9. This Arthur Hills-designed course offers a generally flat but long front nine plus the challenges of its narrow, tree-lined bent-grass back nine fairways and many water hazards. Opened in 1980, the course has a record of 61. Carts and a driving range are available. Mel Thomas is the golf pro. 5162 W. 900N, Roann, (260) 982-2679, Par 60, course length: 3,700 yards, slope: N/A, rating: N/A. 2635 E. 150N (Madison Avenue), Bluffton, (260) 824-4510, Par 36, course length: 3,168 yards, slope: 113, rating: 34.5. 2330 E. 250N, Bluffton, (260) 824-2728, www.thetimberridge.com, Par 72, course length: 5,143-6,700 yards, slope: N/A, rating: N/A. This all-bent-grass course has earned a reputation for challenging the golfing public with trees or water hazards in play on nearly every hole, and the course added new tees in 2010. The course has a record of 63; carts are available and an irons-only driving range. 65 E. Morsches Road, Columbia City, (260) 691-2157, Par 36 (9 holes), course length: 3,000 yards, slope: 123 (18 holes), rating: 69.3 (18 holes). Since 1927, Crooked Lake has offered the golfing public the challenge of rolling terrain; tight, poa annua grass fairways and small, bent-grass greens. Carts are available but no driving range. Course record is 59 for 18 holes and 28 for nine. William F. Schumaker is owner and manager. 129 South Eagle Glen Trail, Columbia City, (260) 248-4653, www.eagleglengolfonline.com, Par 72, course length: 5,235-6,689 yards, slope: 130, rating: 73. Golfers playing Eagle Glen will enjoy 40 acres of wetlands that have become a beautiful and challenging all-bent-grass golf course, with new tees and sand traps added in 2010-2011. Open since 1996 with a George Young design, the public course’s record is 65. Carts and a driving range are available. 1265 N. 950E, Churubusco, (260) 693-3464, www.eelrivergolfcourse.com, Par 71, course length: 6,000 yards, slope: 113, rating: 67.3. 5050 N. Virginia Trail, Columbia City, (260) 691-2788, Par 35, course length: 2,326-2,581 yards, slope: 110, rating: 66.2. 6002 E. State Road 114, North Manchester, (260) 982-2279, www.sycamoregc.com, Par 72, course length: 4,717-6,311 yards, slope: 122 (white tee), rating: 69.2. Rolling hills; fast, smooth greens; mature trees and the new trees added in recent years of improvements at Sycamore make play challenging but scenic. Two branches of a creek and a pond also affect the golfing public’s scores. Designed by Bill Daniels, the public course opened in 1961 and has a record of 64, and it features new tees and widened tees added in 2012. Ladies tees were expanded in 2013. Carts and a driving range are available. Golf pro is Todd Sandow.